iOS 10.1.1 Jailbreak solution just released by Luca Todesco. This called yalu jailbreak and it still on the beta stage. currently support iPhone 7 running on iOS 10.1.1 , more devices will be added . Although iOS 10.0.1 is the current operating system for most Apple users, the roll out for iOS 10.0.2 is not too far off. 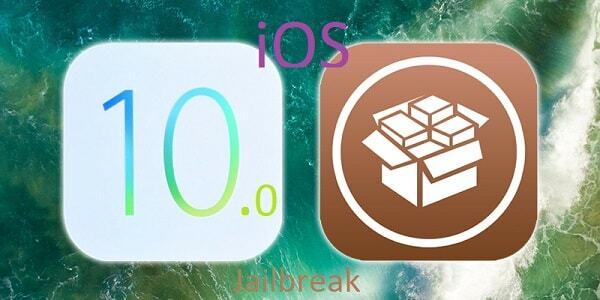 iOS 10 jailbreak already possible but not released to pulic yet. Keep in touch with news and roumors, we will update for you. Pangu is said to be relentlessly working on iOS 10 jailbreak tool for users to have it as soon as possible. The iOS 9.3.3 version may be the final jailbreak for the iOS 9 range, especially because the iOS 9.3.4 and 9.3.5 are technically security patch updates. Not to mention the looming iOS 10 release, thus skipping the iOS 9 updates altogether, makes more sense. 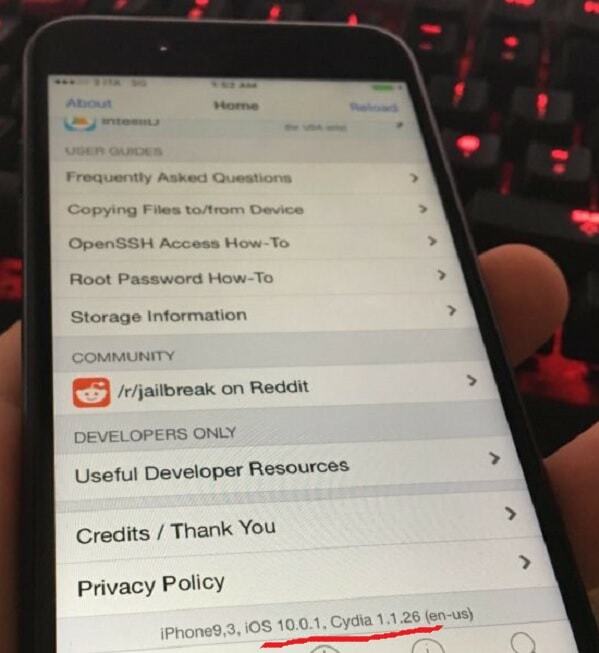 However, renowned iOS hacker Luca Todesco, has apparently already jailbroken iOS 10’s Beta 8 version. Through a video he shared on YouTube, which has already caused quite a storm, Todesco showcases a device running on the iOS 10 jailbreak. And he already posted screen shots of cydia running iPhone 7. It is looks like semi - untethered jailbreak released on iOS 9.3.3 by pangue. Todesco uses a hack known as yaluX, said to only be compatible with 64-bit architecture, and devices powered by A7 processor or above. Pangu claimed that they, along with famed jailbreak expert iH8sn0w had already released demos of the iOS jailbreak prior. Luca demonstrates the iOS 10 jailbreak with a single tap, by activating the yaluX jailbreak tool using a home screen app. The app is then side-loaded with the jailbreak injection code, which was also reportedly written by Todesco himself. Apparently after the jailbreak installation, a user can be able to access Cydia directly from the Home Screen. Interestingly, like Pangu iOS 9.3.3 jailbreak, Todesco’s jailbreak hack employs the semi un-tethered jailbreak alternative which protects Apple devices with jailbreak-enabled apps, from experiencing issues such as constant crashes. However, Cydia still has its flaws, according to Todesco, it still crashes in iOS 10 and frequently disappears from the home screen. Pangu confirmed that iOS 10 jailbreak is still not complete with good news set to come soon. Even though this may just be an iOS jailbreak concept, it still shows that an iOS 10 jailbreak is still possible despite Apple’s incorporated kernel patch protection feature.